„Chronicle of a Myth II“ is now available from K.S.C. 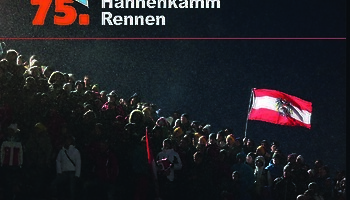 This book tells the story of the Hahnenkamm Races in chronological order from 2003 to 2015 in German and English. 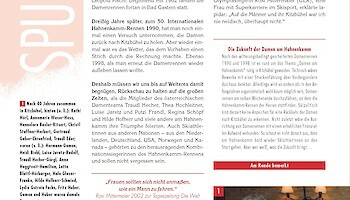 It also includes many topics that were not covered in the first edition. A great present for ski fans, family, friends and visitors! It is more than a written description of an annual sporting event. Tens of thousands of sports fans are mesmerized by the Hahnenkamm Races every year. It is more than a chronological listing of past and present sporting achievements, collection of anecdotes and annual particularities. 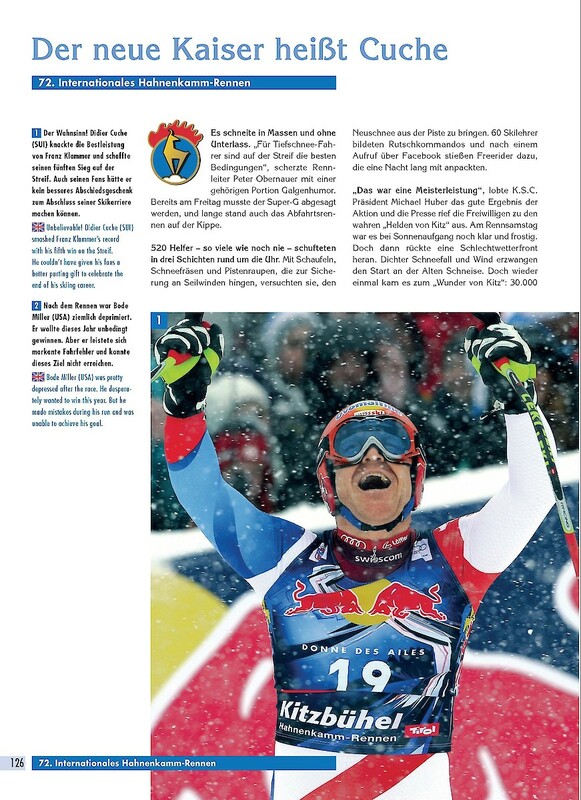 The second edition also documents the Hahnenkamm Races and focusses on the events from 2003 to 2015 – with a detailed expose of the individual disciplines. 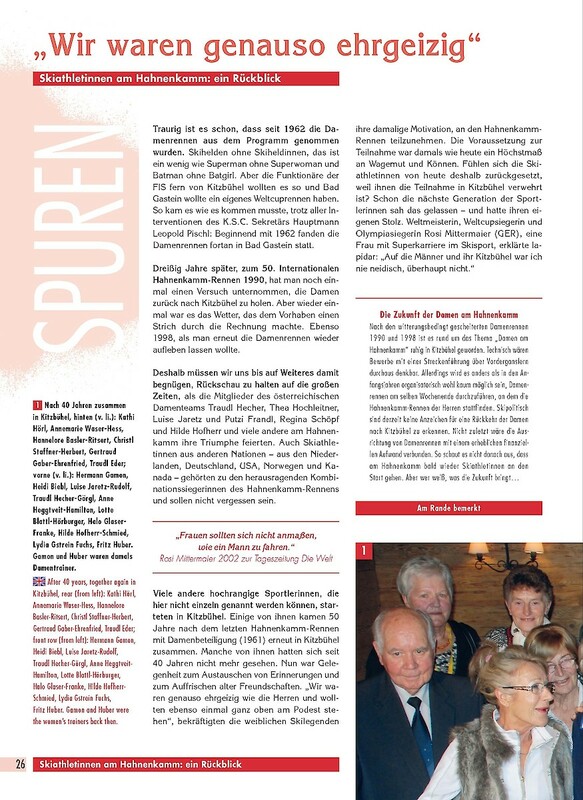 Triumphs and tragedies occur year after year at the Hahnenkamm Races, where the international ski elite, well-known personalities from all walks of public life and many thousands of fans meet annually to share in this great sporting adventure with their ski idols. 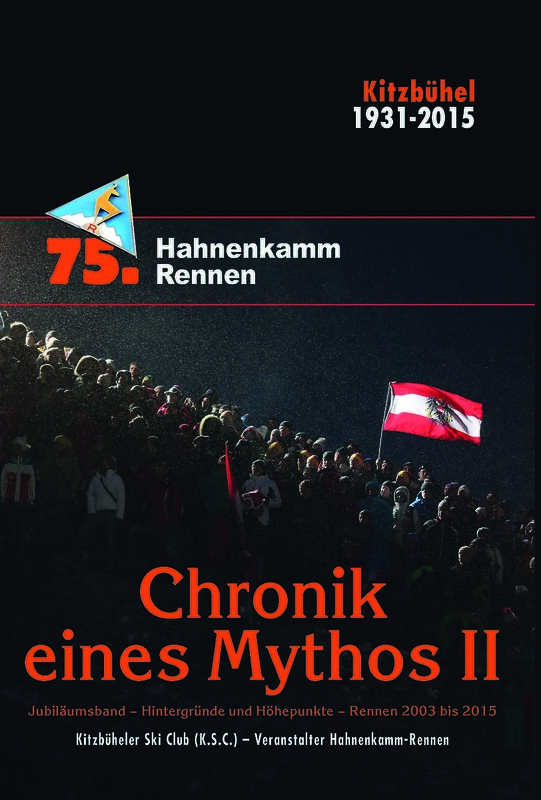 The story of the Hahnenkamm Races is continued in the „Chronicle of a Myth II“. 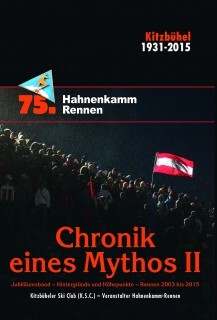 Many aspects and details on the races, their organization, technology and the race courses are included that were only briefly mentioned in the first book „Chronicle of a Myth“ (published 2002), or have since developed into new traditions: each of the 75 Hahnenkamm Races from 1931 to 2015 is a milestone in ski history. 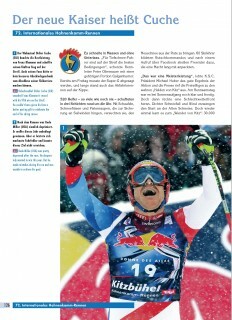 Oder the book and many other Hahnenkamm-Items here.